Welding elbow production process, if the long radius of the elbow, you must first select specifications, put forward the tube material. Spread ratio, through theoretical calculation, the general expansion rate of 35% - 33%, and push back. Short radius 219mm general expanding diameter rate of 50%. Selected raw materials, in material according to the specifications of the elbow, then consider the radius of curvature, for example, 90 degree elbow, by its curvature can figure out how many materials can be processed with 90 DEG elbow. It can be calculated by theoretical calculation, and then cut off with the length of the length. Finally, the material pushing system. You may have seen the machine, the actual is very simple. It is a horn shaped mandrel or mandrel, the mandrel is changed from thin to thick, push the process is a process of expanding with bending. Behind a support pipe section to penetrate mandrel material, one behind the arch frame will be fixed mandrel. There is a car in the middle, some of the car through the hydraulic transmission, and some through mechanical transmission that screw drive, and then push the car forward. Pushing the tube the car along the mandrel to go forward, outside the mandrel has a coil, the tube heating, heating is good, then the cart to push down the pipe and processing a. After the push, the elbow to the thermal state of plastic. Because some elbow handled properly, it will be distorted, which is not allowed. 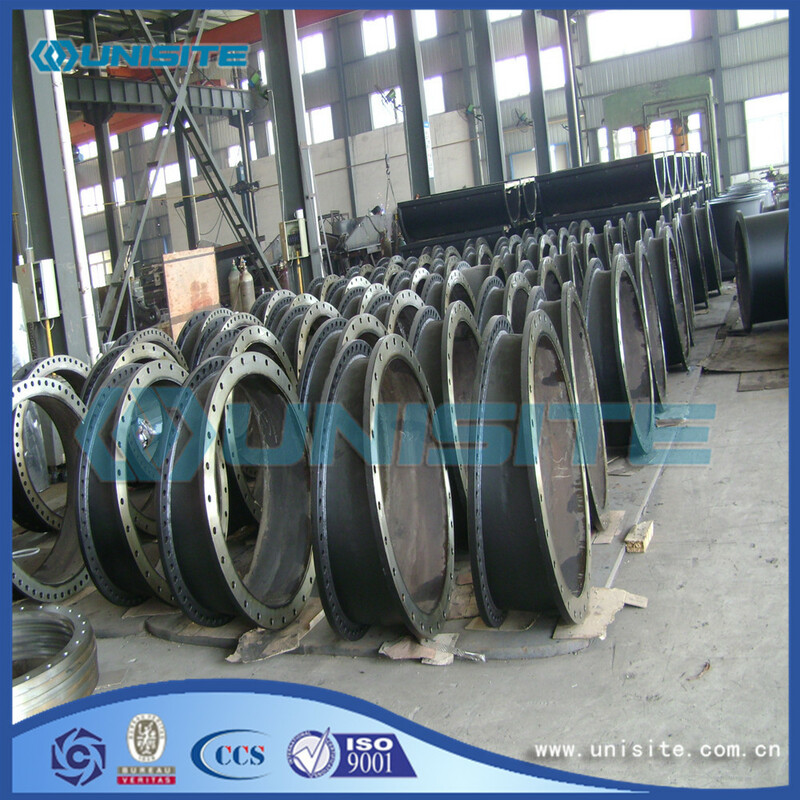 In addition, after the pusher is generally a front end outer diameter to be reshaped by large plastic mold. The plastic mold is actually a press, to have a set of mold, 2.5 arc, up and down each one. 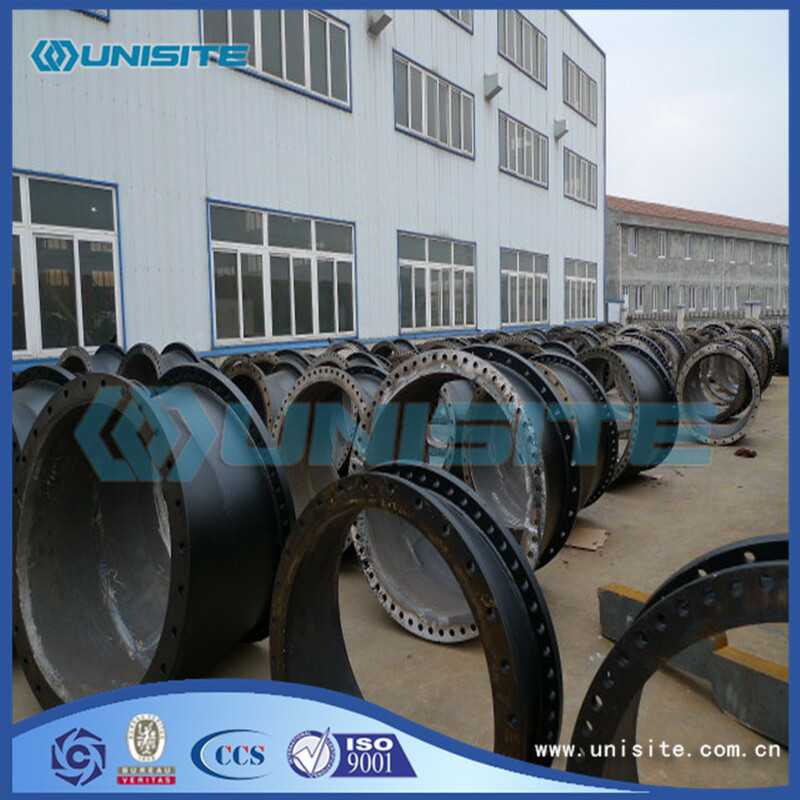 After shaping the outer diameter of the finished product has reached the size requirements. The wall thickness of the material is controlled by the wall thickness. Bends and pipe wall thickness tolerance is the same, were + 12.5%. In the process of pushing of, under normal circumstances, the wall thickness should not change, but if because of tool reason, some places will reduction occurs the phenomenon of wall, it is generally provided material and wall thickness plus some allowance, such as the elbow is thickness of the wall of 8.18mm, generally are provided about 8.5 mm tube, prevent in pushing the system due to the reduced thickness of local and super bad. After the whole shape, the outer diameter and wall thickness of the elbow reach the requirement. 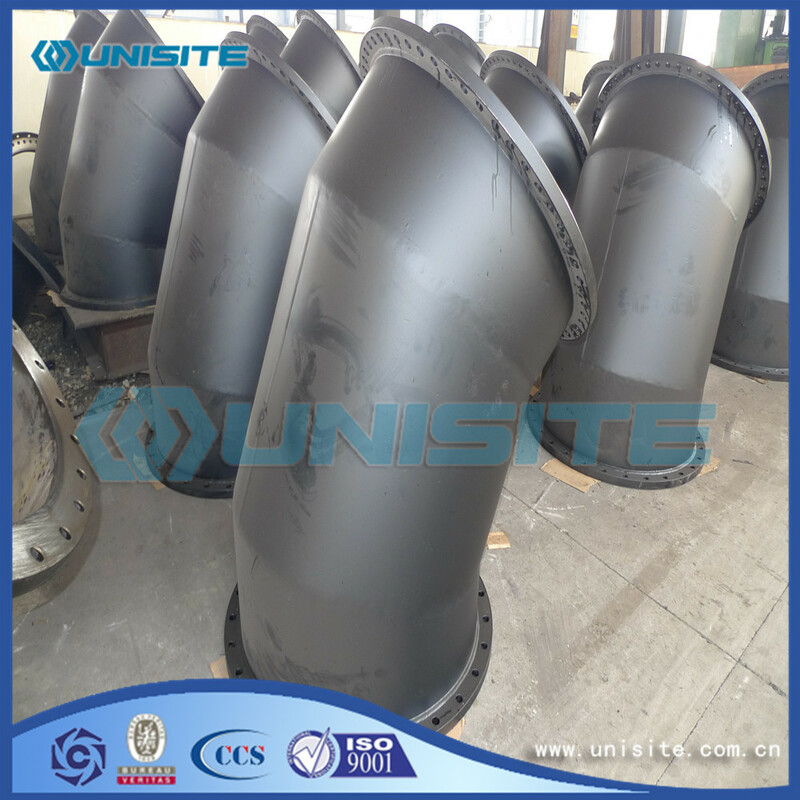 Below is the process of finishing, after shot peening treatment, the inner surface and the outer surface of the elbow of iron oxide removal, the ends of the groove processing for welding. After checking, playing steel word, spray paint, packaging and other processes, you can leave the factory. Above 24 "following in a Seamless Steel Pipe as the raw material, the processing method of elbow, more than 24" after that of more than 600 mm, the maximum elbow between 2.032 meters ~2.80 meters, is made of steel plate. The steel plate according to the requirements of the cut into the material, like UOE molding, stamping die stamping into a round. There are two halves and then assembled and welded. Because of the existence of the welding seam, so we should carry out nondestructive testing. Due to the existence of welding stress, the heat treatment should be carried out. 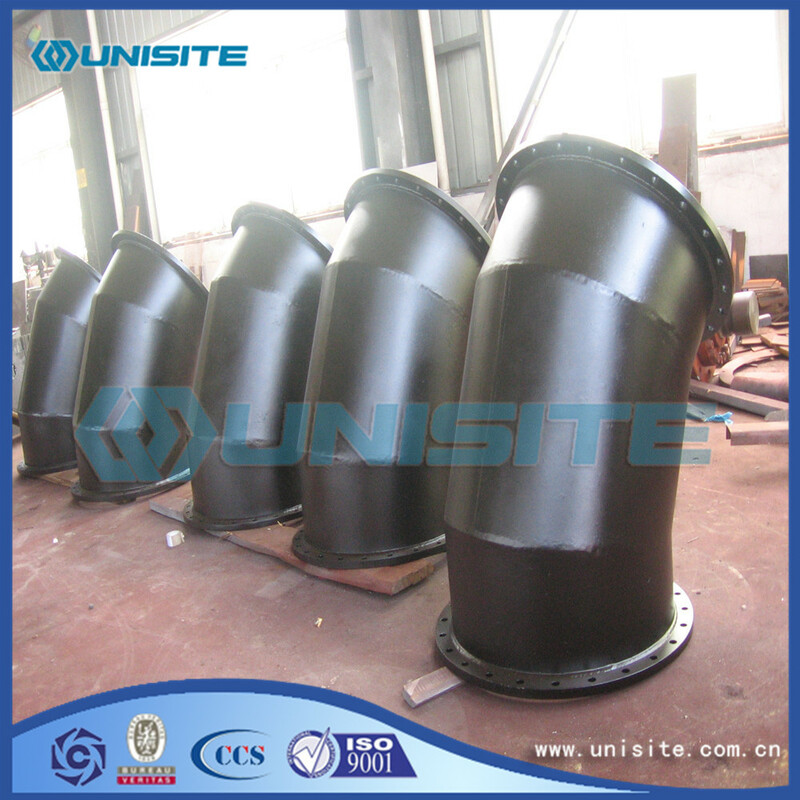 Welding elbow more than two processes: one is the detection, one is the heat treatment. Other programs the same. Looking for ideal Steel Welded Bend Pipe Manufacturer & supplier ? We have a wide selection at great prices to help you get creative. All the Welded Steel Hot Bend Pipe are quality guaranteed. We are China Origin Factory of Hot Welding Steel Bend Pipes. If you have any question, please feel free to contact us.